44th Summer Film School Uherské Hradiště is over. The festival attracted 5,100 accredited visitors, with another 5,100 tickets being sold separately. There were 307 film screenings presenting 235 films, 62 events in Expert Programme, including 9 Masterclasses, 19 concerts, 7 theatre performances and 7 exhibitions. Association of Czech Film Clubs, the main organizer of the festival, conferred 5 Annual Awards. The festival’s programme consisted of three main blocks – History, Present Days and Czecho/Slovakia. Our Industry Programme introduced the phenomenon of virtual reality. The festival also premiered all musical films from the upcoming Project 100. “Despite the long and extreme heatwaves, this year’s edition of Summer Film School was a great success. All our visitors and guests were wonderful and open-minded, living each moment of the festival to the fullest. The whole organizing team performed so well as if it was the most reliable astronomical clock. Everything put together, and the excellent programme of course, created a beautiful mixture of energy. I would like to thank you all for your visit and collaboration and I am already looking forward to seeing you again next year!” concluded festival’s director Radana Korená. 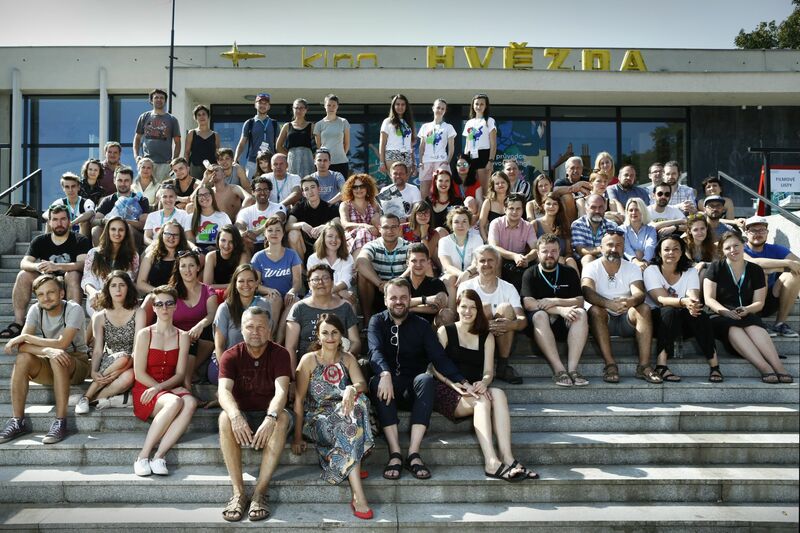 45th Summer Film School Uherské Hradiště will take place from July 26 to August 4, 2019.